As a new business owner, you need a dedicated credit card to handle expenses. Getting one of these cards not only allows you to keep business and personal purchases separate, but also gives you access to perks and rewards to help you save money and grow your business. 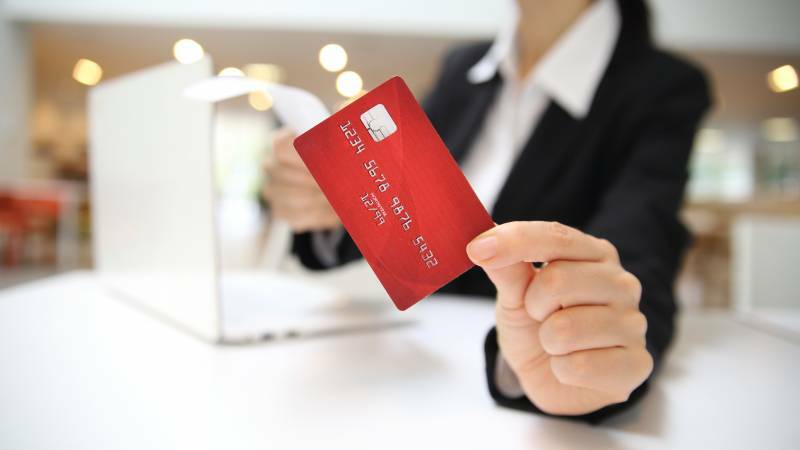 There are a wide range of business credit cards available from major credit card issuers, and each has its own benefits. Here’s what you need to know: what benefits to look for and how to compare rewards programs to choose the right card for your business expenses. Some business cards charge an annual fee in exchange for premium perks, and these fees can be hefty. According to ValuePenguin, the highest average fee is $190 per year, an amount many new businesses can’t afford to pay. When starting your business, you need to keep as much money as possible available to invest in daily operations and initial growth. Even a single annual fee can eat away at your cash flow and wind up setting you back. Fortunately, there are many no-fee business credit cards and low APRs. Companies like Chase, American Express, and Capital One offer cards with no annual fees and introductory rates of zero percent. When considering these cards, look at what the APR will be after the introductory rates. Consider your credit rating and what APR you’re likely to qualify for to find the best offer for your business. Remember cash flow can be unpredictable during the first years of running a company, so you need to find a rate you can afford should you be unable to pay off your balance in full each month. Note not all these rewards are available from cards without annual fees. Look at what each issuer offers to determine if it’s worth signing up for one of their cards. Business cards also offer more common rewards in the form of points or cash back bonuses. Points accumulate for every dollar you spend, either at a flat rate or a special rate for purchases in specific categories. Cash back is issued as a percentage of each purchase. Because you can often get more points or a higher cash back percentage by spending money on certain goods or services, it literally pays to look for a card offering better rates in the categories from which you make most of your business purchases. Consider the type of business you run as you compare credit card offers. Do you and your employees work in an office? Look for a card with bonuses on purchases of office supplies and electronics. Are you in retail or foodservice? Find out if you can earn perks when buying inventory from specific vendors. Some card companies may also partner with a select group of merchants to offer additional discounts on or benefits from purchases. Fundera.com suggests dividing current and expected expenses by category to get an idea of which offers are most beneficial for your business. Include purchases employees make for the company to determine if adding employee cards could help you earn more points or cash back rewards. Narrow down available offers to those with perks in the most relevant categories. If you travel a lot, a card offering miles for every dollar spent or cash back to use on specific travel expenses may be your best choice. Some issuers also give bonuses to business owners who spend a certain amount within a given window of time after signing up for a card. Because these benefits are only offered once, they’re not worthwhile unless you know you can hit the spending threshold before the promotion expires. Whether you choose a card with points or cash back, decide in advance how you’re going to take advantage of the perks you earn. Cash back can generally be used for anything, including purchasing inventory, covering payroll, paying for renovations or investing in growth opportunities. Some businesses turn card rewards into employee bonuses by using travel miles to finance trips or cash back to purchase gift certificates and event tickets for top performers. Just be sure to use your rewards before they expire. There’s a good chance credit card companies will start flooding you with offers as soon as you register your business, but don’t just snap up the first one you find in your mailbox. Compare all the offers you receive and do additional research to discover options available from other card companies. Don’t worry about finding a card with everything you think you’ll need in the long term. Choose a card with the benefits you need the most while getting your business off the ground. You can always upgrade to a different card in the future as your business grows and your needs change. If you’re interested in a business credit card for your company, start a search today.